In the last article, we talked in brief about what ODC means. In this article, we want to give an overview of the various costs and difficulties related to transportation of ODC and OWC. 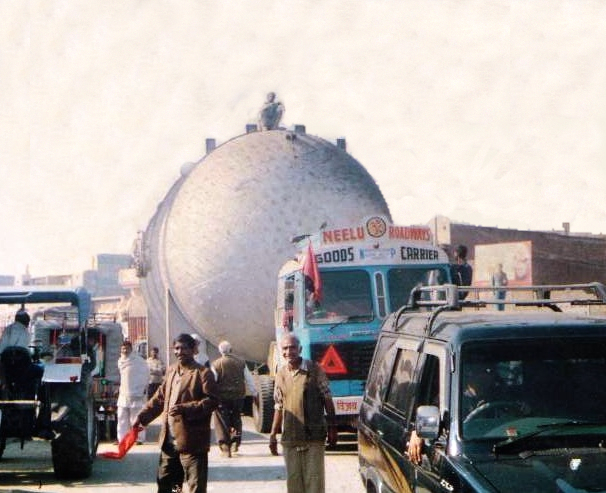 Permission: Every Over dimensional cargo requires a permission from the state authorities before plying on the road. The permission takes 3-4 days to obtain. In the case of Hydraulic Axles, the permissions for GVW of up to 169 MT can be obtained instantly using the website of MORTH . This permission is valid for plying over national highways only. The costs for the permission for transporting via Hydraulic Axles is Rs. 1000 per 50 km up to HT3 and Rs. 2000 per 50 km for all configurations above HT3. Detours: In case there are Obstructions like overhead bridges, electric lines, railway crossings etc, the transportation may have to be done via a longer route. Railway Crossings: In the case of electric railway lines, the height of electric lines is about 15 feet in height. This is different for all crossings depending on slack in cable, height of the road etc. 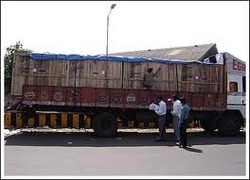 If the height of the cargo from the road is greater than the height of the cables, a shutdown is required to be taken. The fee of the same depends on the height of the cargo. If the cargo can be passed by just lifting the cables, then the fee is lower compared to if the cables need to be dismantled. 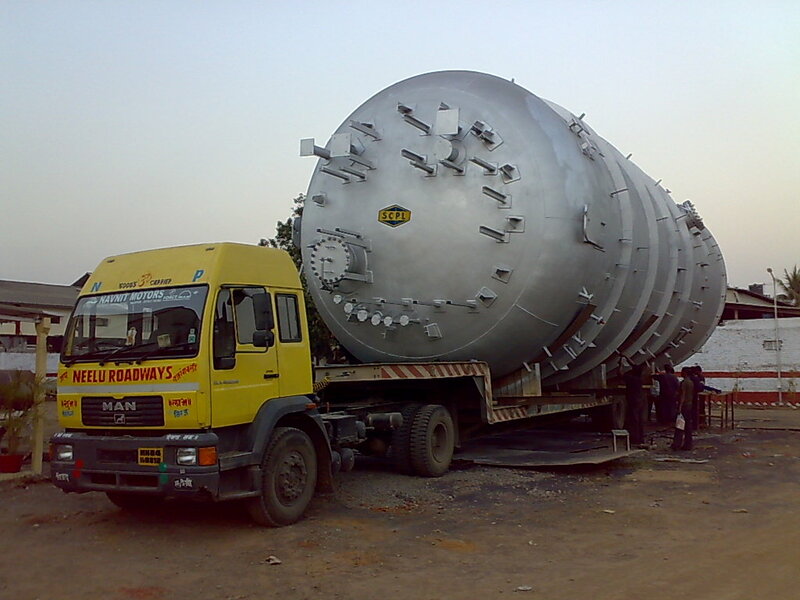 The fee is in the range of 1 lakhs for cargo height of up to 16 feet and about 1.8 if the height is greater. Overhead Bridges: Overhead bridges include flyovers, foot over bridges, railway bridges etc. It is important to study the route to locate the overhead bridges en route. 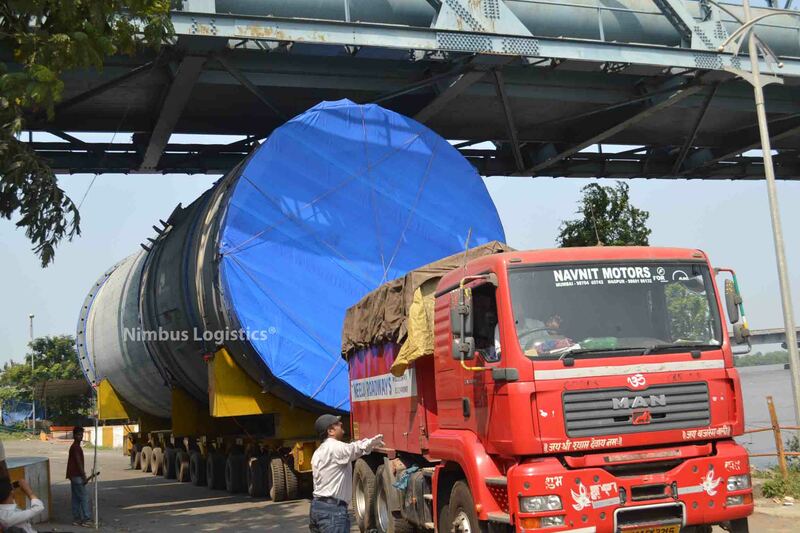 Detour is the only option if the height of a bridge is lower than cargo height. Electric Lines: Electric lines are shut after paying electric board the charges for outage depending on the duration of the shutdown. 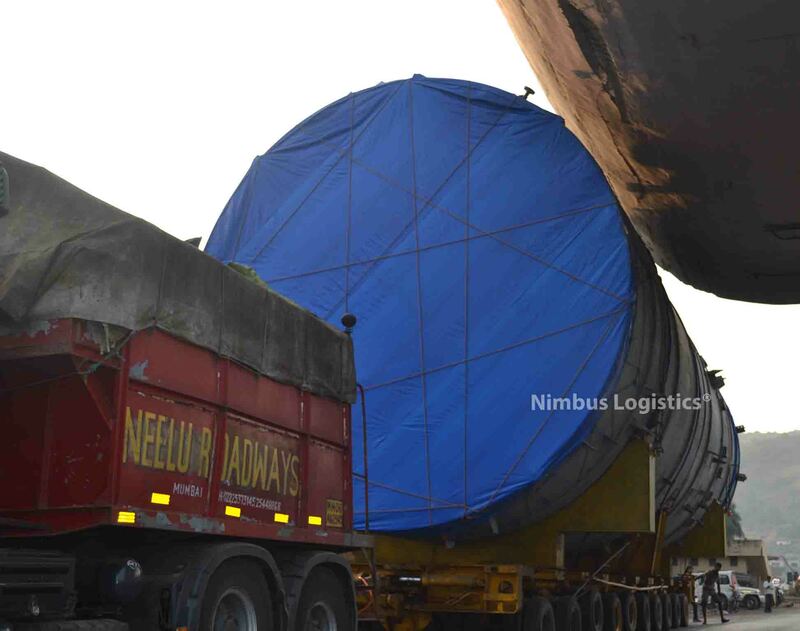 After shutdown, depending on the slack and weight of the cable and height of the cargo, the cables can be lifted or can be dismantled. Information and Advertising Boards: These need to be dismantled for the passage of ODC. Many times rigid structures are constructed at the entrance of cities leaving diversion as an only option. Toll Gates: Many toll gates have the last lanes for passage of ODC. In some cases, the toll gates for the oncoming traffic is located at a distance. In these cases, the vehicle can be passed by taking the wrong way for bypassing the toll. If none of the above solutions are possible, constructing diversion and detours are only possible solutions. Construction of bridges, causeways, and roads: Many river bridges are designed to support weights of up to 200 tons. Carrying heavier cargo requires the construction of causeways and bridges. The below photo shows a bridge constructed over a river using sandbags for crossing a 350 tons package. Similarly, roads need to be constructed in areas having poor road conditions. We at Nimbus Logistics have immense experience handling all the imaginable issues faced while transporting an over-dimension cargo and over-weight cargo. 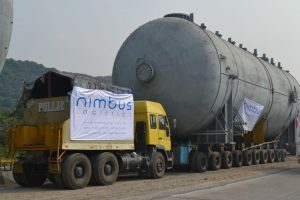 This experience is what enables us to provide a thoroughly calculated rate and avoid any en-route surprises, hence minimising our’s and our client’s risks.